Our second pixar movie of the year, The Good Dinosaur has had its fair share of problems on the way to the big screen, from being delayed to completely changing its voice cast, but everything is shaping up nicely, with recent trailers showing off a gorgeous, photo realistic world and classic Pixar storytelling. Now, a new clip has come our way, promising things will be getting pretty emotional with a touching scene between our hero Arlo (Raymond Ochoa) and his father (Jeffery Wright) that is both heartwarming and visually impressive all at once. 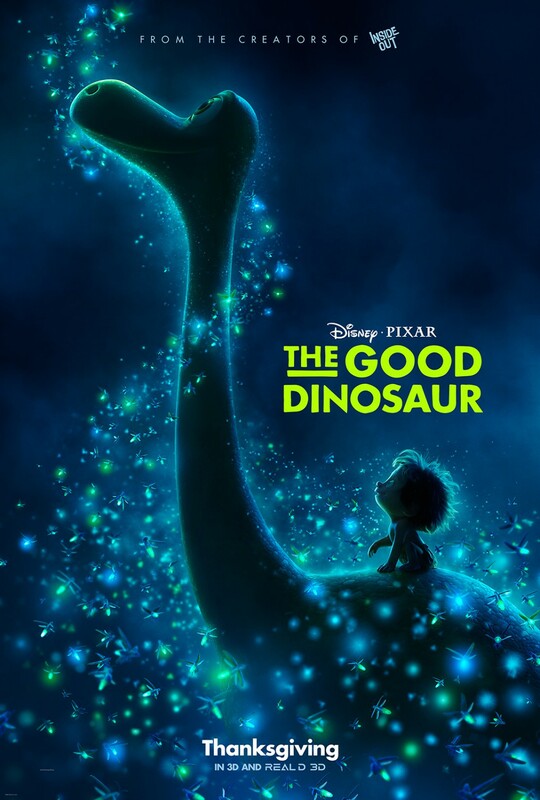 Synopsis: The Good Dinosaur asks the question: What if the asteroid that forever changed life on Earth missed the planet completely and giant dinosaurs never became extinct? Pixar Animation Studios takes you on an epic journey into the world of dinosaurs where an Apatosaurus named Arlo (voice of Raymond Ochoa; “The Night Shift,” “Rizzoli & Isles”) makes an unlikely human friend. While traveling through a harsh and mysterious landscape, Arlo learns the power of confronting his fears and discovers what he is truly capable of.